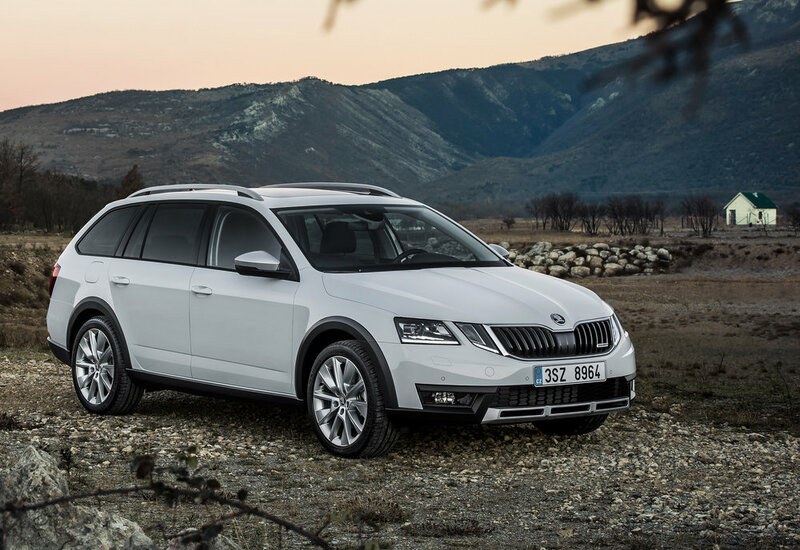 Škoda’s off-road Estate - the Octavia Scout - has been reworked with new technology and equipment for 2017. The upgraded Octavia Scout launches with two engine variants and all-wheel-drive technology with electronically controlled, hydraulic multi-plate clutch. 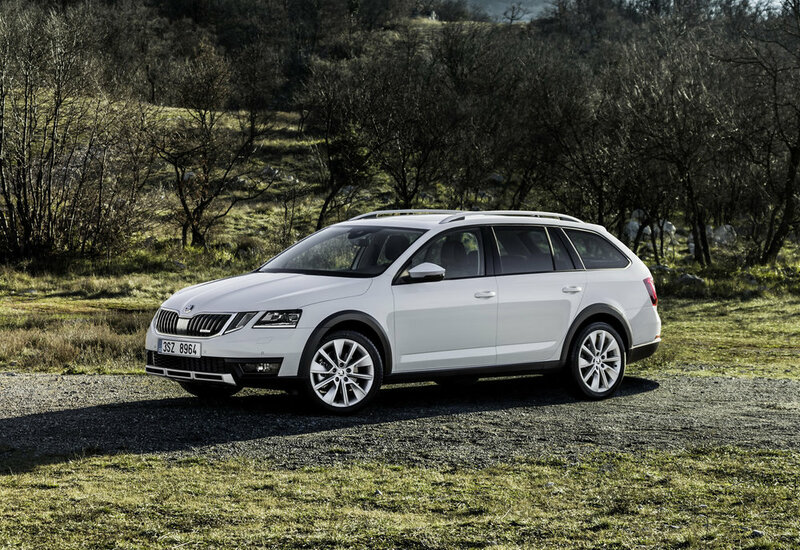 With a ground clearance that has been increased by 30 mm in comparison to the Octavia Estate, the robust all-rounder comes with an off-road look. The 2017 Scout has the same front end as the new generation of Octavia models, and has a more prominent bonnet, wide radiator grille and full-LED headlights with adaptive front headlights (AFS) and a crystalline look, joined by modified fog lights, while at the rear the tail lamps are also LED. The Octavia Scout model is recognisable by a silver-coloured underbody protection at the front and the rear. A 'Rough-Road' package is also part of standard equipment and features plastic covering for the undercarriage as well as the brake and fuel lines. Besides the increased ground clearance, the all-wheel drive with electronically controlled, hydraulic multi-plate clutch, which comes as standard, also ensures even ‘greater driving pleasure’ off-road says Skoda. Ramp angles have been increased to 16.6 degrees at the front and 14.5 degrees at the rear for off-roading. Both the front and rear axle are fitted with an electronic differential lock (EDL) as standard. EDL allows the car to pull away smoothly on difficult surfaces, transmitting drive to both the front and rear axles. For safer and easier descents on rough terrain an 'Off-Road' function is available, when in use the speed of the vehicle is consistently maintained without the driver needing to do anything. Modern engine management, which increases safety during descents using braking, makes the driver’s life easier. Towing capacity is up to two tonnes, depending on the engine version. The reworked adventurer is available from market launch with two different four-cylinder engines. There's a 2.0 TDI with 150 PS, a top speed of 129 mph and a 0-62 mph time of 9.1 seconds. Combined fuel consumption is 56.5 mpg, with CO2 at 130 g/km. A more powerful 2.0 TDI with 184 PS has a higher top speed of 136 mph, and a 0-62 mph time of 7.8 seconds. Combined fuel consumption comes in at 55.4 mpg, CO2 133 g/km. On the inside, a heated steering wheel and seats are joined by a Thermo-Flux function which, from time to time, increases the air and moisture permeability and provides ‘more riding comfort in different climatic conditions’. The boot has a capacity of 610 to 1740 litres. Driver assistance systems include Trailer Assist, Blind Spot Detect (warns of any vehicles in the blind spot) and Rear Traffic Alert (monitors traffic coming from the sides and behind when manoeuvring). A Crew Protect Assist function, which closes windows and the sunroof in the event of an impending accident and tensions the seat belts on the front seats, is connected to the improved Front Assist function, which includes the City Emergency Brake and predictive Pedestrian Protection functions. Park Assist’s functions have been further perfected.